Solve this mystery... who is the artist for this artwork? 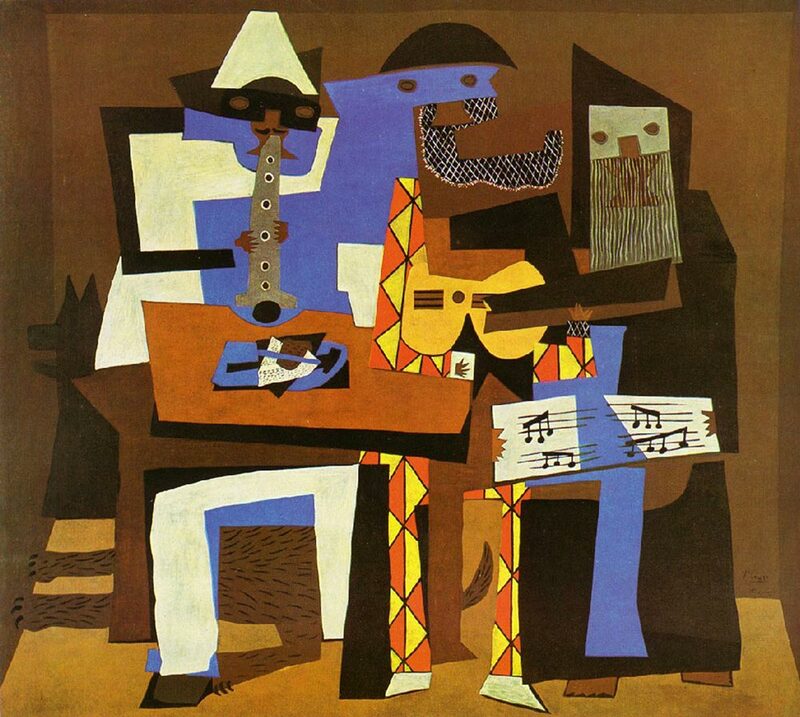 Do you recognize this artwork? 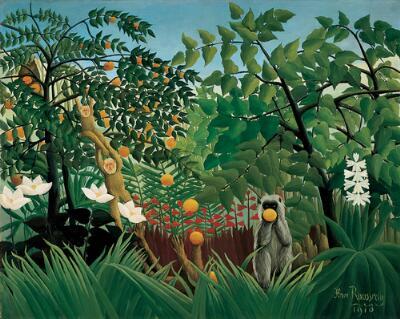 This artist was well known as a naive painter and often features exotic plants and animals. Researching together might be a fun activity! February Mystery Artist and Winner! Congratulations Red Room Alice whose name was drawn as the Mystery artist winner! Out of 28 participants, there were 24 correct answers. Goldworthy was born in the United Kingdom. From the age of 13, he worked as a farm laborer. He later compared his farm work to the repetition of creating his nature sculptures. His earth artworks are meant to be temporary. He uses a range of natural materials (ice, leaves, sticks and stones)which he captures with a photograph before it disappears. 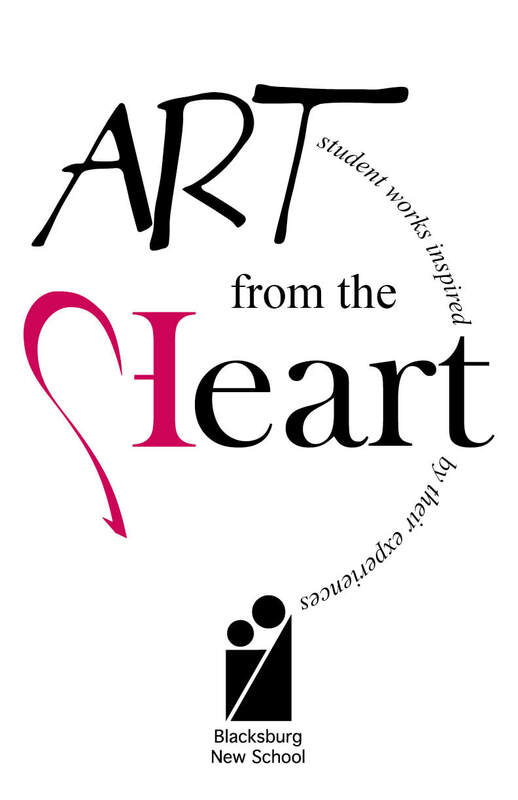 The BNS Art from the Heart student exhibit is on display! 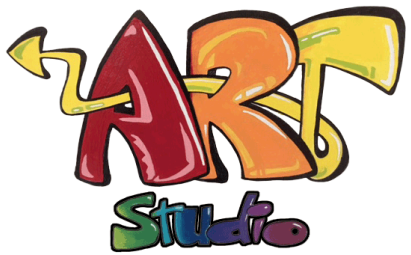 This is an art show that coordinates with the BNS Chocolate Party at the University Mall (Saturday, February 9). If you aren't able to check it out during this fun event, don't worry...you can swing by and check it out for the next two weeks! BNS Middle School Students honor Martin Luther King Jr. Check out their wonderful ceramic display. 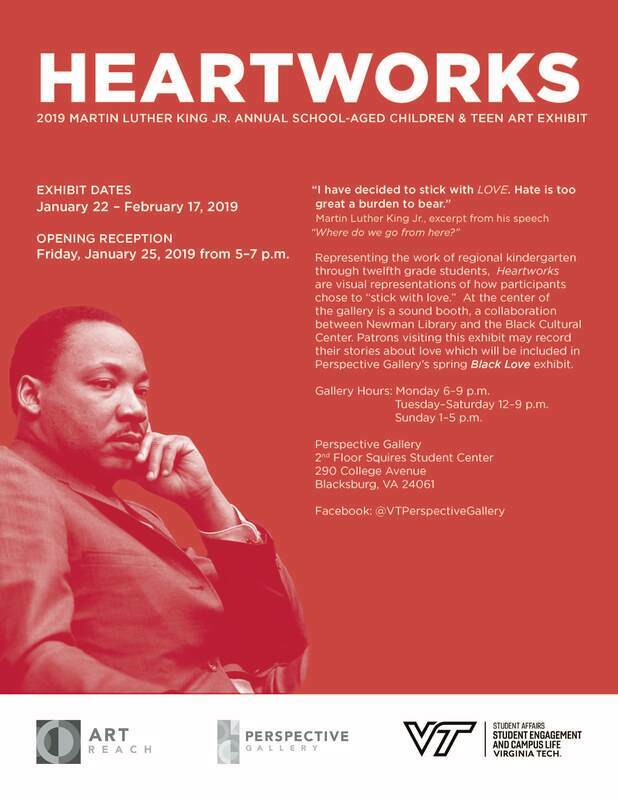 On display NOW through February 17! Your purchases for those awesome art keepsakes and gifts has earned the art room $395.03 so far this year. Thank you!!!! 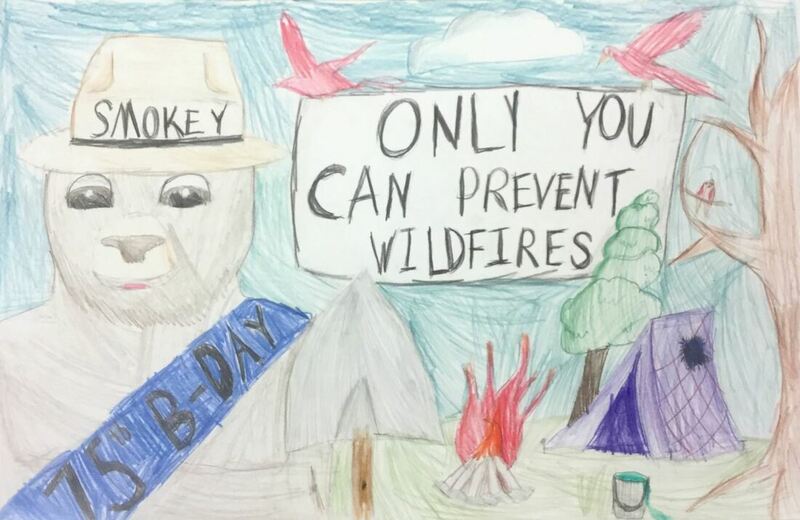 It's very exciting to share that one of our fourth grade BNS students was chosen to compete at the Blue Ridge District level for her Smokey the Bear poster design. Good Luck Serena!!! Smokey the Bear is turning 75!! Students were invited by the local garden club to participate in a Smokey the Bear poster contest to commemorate the 75 years that Smokey has been the representative for the National Forest Service. At BNS the third through fifth grade students were given the opportunity to participate. Check out their drawings below! Do you have a Mystery Artist Detective at home? Check out the November art posted on the art bulletin board. Helping sleuth out the artist for this artwork might be a fun conversation at home!! Time to get MESSY, oh yeah! It's starting to feel like Fall around here! Check out these fall themed artworks below that some of the classes have been working on. These are examples of a guided warm-up project where students practice specific art techniques. You can see how they are all practicing the same idea or technique, but also insert their own creativity.